As if millions of decks called out for use and were suddenly viable…. Welcome back to SMC, today’s topic will be the shift in card roles and values that the Lunar Cycle has brought on. The greatest of these shifts is caused by two new identities: Nasir Meidan and Blue Sun. Both of these add a new element to the game, transforming ice into economy. 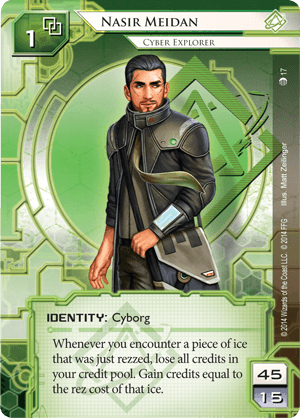 If you read these identities and look at the timing structures of Netrunner, the developers have done a great job of creating two very different ways of turning ice into sources of credits. Nasir’s ability takes advantage of the timing structure of a run and the paid ability window after ice is rezzed but before it is encountered. What this means is utilizing cards like self modifying code, clone chip and most notably personal workshop he can dump credits and then gain credits to break the ice after installing the solution. This effect requires a complete playstyle shift on the part of the corp. Now you have to decide whether that heimdall 2.0 is ever worth rezzing and you might not rez low strength ice when he has SMC because he will get in anyway. Even worse, he will be using your money. In short he really forces corps, especially big ice corps, into a new headspace where if you are not judicious with rezzing, the runner will proceed to the late game faster. While this ability is powerful, it can be countered by corps that run light on ice or utilize low cost ice. Also, Nasir requires his tools to be in place in order for his ability to be a boon instead of an anchor. A Nasir player might hesitate to run if he doesn’t have anything on personal workshop. What makes his ability intriguing to me is the cards he makes more viable. The first that comes to mind are recurring credit consoles like spinal modem or toolbox. Toolbox has fallen out of the meta largely because of its up front costs in a world where corps set up fast and score fast. The solution? Let the corp pay for it with ice rezzes over the span of three turns. Furthermore, recurring credits (and stealth credits which I will discuss later) are valuable to Nasir in a way they haven’t been to other runners. Moving on to Blue Sun, this card is a twisted mirror of Nasir. Where Nasir makes big ice bad for the corp and great for the runner, Blue Sun makes big ice more taxing for the runner while keeping costs low for the corp. This can create credit swings which favor the corp. Once again, the maximum effect of Blue Sun requires tools, the first of which is oversight AI followed by a piece of high cost ice such as curtain wall. If you use oversight AI on a curtain wall early in the game and put an agenda behind it, the likelihood that the runner can break a 10 strength barrier early on is low. If they can break it you spent 2 clicks and 1 credit to make them spend 11 credits with corroder or 3 credits and 3 d4v1d counters. In either scenario the runner spent much more than the corp to get in. When a turn starts and the oversighted curtain wall is not broken then the corp nets 13 credits and the ice comes safely back into the hand to be used later. An entertaining feature of Blue Sun is that it is a direct counter to Nasir Meidan, as when you rez ice on your turn he cannot use his ability. Going back to the econ engine, as the runner you might need to break that curtain wall in order to prevent the corp from gaining the credits. This becomes a tax , eating up credits or tricks such as d4v1d. Blue sun also makes assets like the root and ash more useful and survivable as you refund their cost back and take them into your hand to use them again later. This creates what I consider to be the first dangerous card cycling corporation. That’s right, Blue Sun is gonna be corp shaper. Another unexpected side effect of Blue Sun is it reactivates Weyland kill decks. I can maintain the 6 credit gap needed to kill a player with ease. Running becomes very dangerous when I can pull a curtain wall up to gain 14 credits even after ending my turn with zero. This enables Weyland to outpace magnum opus econ and forces the runner to get that plascrete out asap. This gap is also maintained by the glacial ice that Blue Sun wants to play, as most successful runs are going to cost the runner a large number of credits. So going back to my opening line, I sense a disturbance in the meta. Not because I think everyone will be playing these two identities but because the cards and strategies that these idents will bring to the forefront will change the way people will play and will open up new archetypes as players build to counter them. 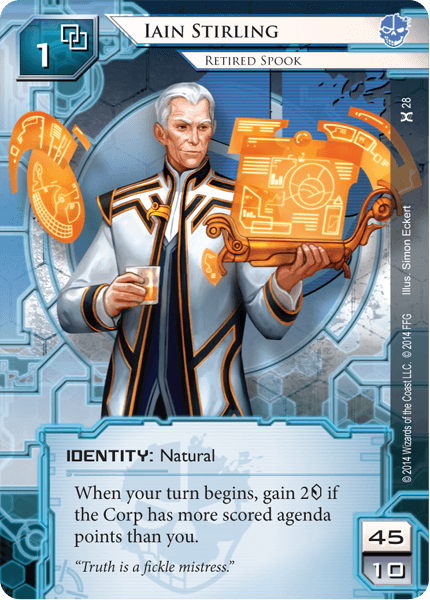 Netrunner designers, you are doing a great job at balancing this game. In the breath following a discussion of Blue Sun I have to discuss another Lunar identity, Quetzal, who can counter it. One thing that Blue Sun wants is big ice and most of Weyland’s repertoire is taxing barriers. Staying true to her anarch faction, Quetzal is the most efficient barrier breaker there is. It will get a lot harder to get your money back for that oversight AI hadrians when she can use her ability and then a SINGLE credit for e3 feedback filters to break it. Her synergy with d4v1d, e3, and Knight makes glacier decks harder to play and her cheap breaks mirrors the cheap rezzes of Blue Sun, tilting the playing field back towards the runner in many hard match ups. For example, the cheap, one subroutine barriers of fast advance decks are essentially blank to her, making 4-5 ice dead in decks that already run light on ice. You now need at least two barriers on a server, so the most taxing barrier on each server is getting turned off or turned down with her tools in play. Another aspect of Quetzal that I appreciate is that she creates new anarch archetypes, such as a high pressure deck that doesn’t use account siphon. With very few tools she can get in to most servers and start digging early. Her ability and e3 feedback filters keeps with the theme of changing the ice choices corps make because suddenly eli isn’t the best bang for buck barrier. 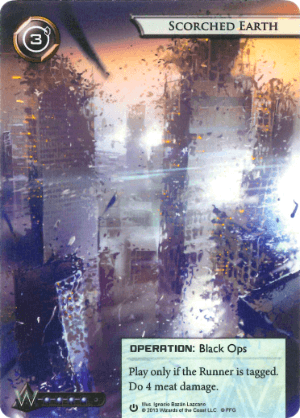 Today is a great day to play Netrunner because stealth has arrived as a powerful archetype. 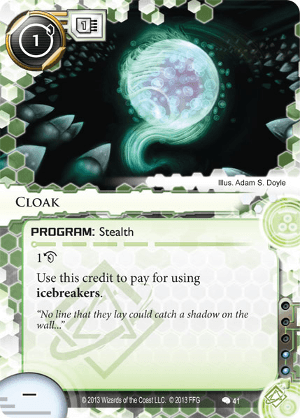 Stealth breakers such as blackat, switchblade and refractor are brutally efficient but require other cards to be used. You pay a tax of jank and inconsistency for a payoff of cheap runs. Up until the lunar cycle the tools were not all in place and there weren’t runners in the game that could maximize the risk to reward ratio of a stealth deck. Nasir is one such runner. He wants to dump credits and can be shut down by low cost ice. Meanwhile, money that sits on other cards and not in your credit pool is the wind beneath his wings. Also, with the release of refractor, Kit can play effectively to her strength of early aggression. She has always been an outsider in shaper, a cyborg that wants to run early, and her tools (like yogasaurs) were powerful but expensive and time consuming, contradicting her nature. Gordian blade and torch are expensive to use and install respectively, and cybercypher focuses your aggression on one server. 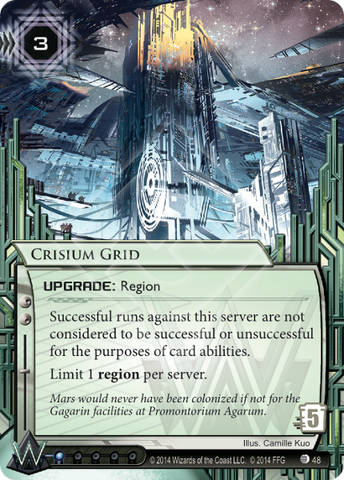 With refractor and one source of stealth in play, you threaten any server for an install cost of 2 credits. This forces the corp to double ice centrals and remotes fast and enables you to pressure while setting up the rest of your rig. From the get go you will be spending less to run than the corp does to rezz. The inclusion of late game econ like Kati Jones or magnum opus as well as HQ and RD interfaces can provide board control in the mid to late game. Late game stealth Kit can run anywhere for insignificant credits, making agendas unsafe in all centrals and remotes. The lesson of the Lunar Cycle is that the role of ice is changing and that we all have to think differently about what we choose to include and how/when we rez. These card additions could also herald a change in the economic engines that runners use in the quest for efficiency relative to corporate costs. Welcome to the first installment of Mandatory Draw, a segment where I will showcase and playtest a specific card for one week. Before delving into the topic I offer the caveat that I do not claim to be an authority on what is or isn’t the best way to use a card. MD will be used as an experiment to improve my play and hopefully get feedback on using certain cards. Manhunt was chosen as the first topic because it is good and people know its good but I believe it has untapped applications. 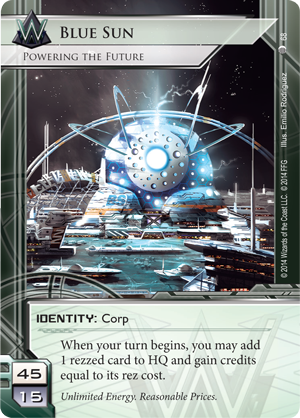 This card is a great example of what has made Netrunner a successful game, the designers release cards that improve decks, just not the ones that are popular right now. 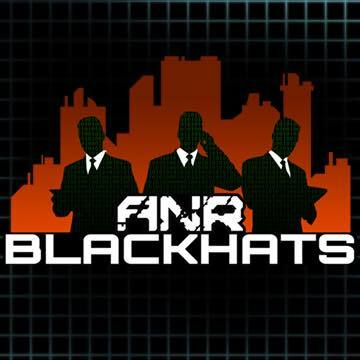 Manhunt, while it can be used in near earth astrobiotics, it is arguably best used in different styles of NBN. 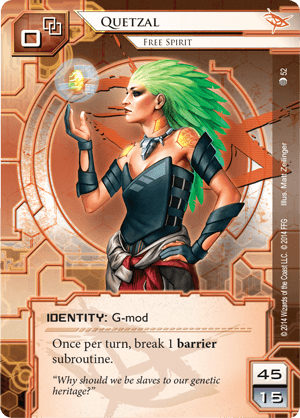 I love that Netrunner constantly turns already released cards and archetypes back on with new releases. Lets talk about what the card does in real terms, manhunt makes a runner spend 3-4 credits (link dependent) to avoid a tag if you are playing Making News or pay a click and 2 credits to remove the tag after the run. This is a huge tax, especially if you can force the runner to run on servers where they have no chance of stealing an agenda. A san san grid with manhunt in play costs 8-9 to trash plus the cost of breaking the ice or 7 credits and an additional click plus the cost of breaking ice. Manhunt is always going to get its value because the trace resolves before the runner accesses making them spend at least as much as you did to play manhunt to avoid or remove the tag. This additional tax can keep your pad campaigns and dedicated response team on the board longer and slow down runners tremendously. In addition, manhunt is a direct tax to security testing and account siphon as your opponent will now likely spend more then they will gain and in the case of AS they will have to run it click one if they want to clear all the tags. This tax attached any run can reduce the runners credit pool making it easier to use midseason replacements or SEA source. Something that is noteworthy about manhunt is its psychological effects. When you slap this card down on the table the runner immediately starts contemplating what tag punishment you are playing. This can lead to defensive play on their part, giving you more time to set up or score your first astroscript. For this week I decided to go with traditional tag and bag using SEA Source. manhunt forces the runner’s credit pool down increasing the effectiveness of this archetype as the credit gap of 6 is easier to maintain. Midseason decks are really popular these days but I did not choose that archetype for a couple of reasons. First, midseason comes with baggage, you need psychographics, you need burst econ, and I did not have space. Also, midseason requires an agenda to be stolen where as SEA Source can be used after any successful run, making the kill more consistent. The tax discussed earlier comes into play here, if they want to trash that san san grid, they have to dump the credits they need to stay alive which can make the runner choose between two bad decisions. This archetype is vulnerable to plascrete carapace but if they manage to protect themselves they still have to fear other tag punishment and it becomes an additional tax to help you revert to normal NBN fast advance. The runner may choose to turtle up and wait until they have a large credit pool, subliminal messaging punishes them for doing this and helps you maintain your credit lead and/or score agendas. Good luck in your games and let me know how you are using manhunt. I Like to play bad runners and bad corps, I like to play non-meta because it makes me feel like Rocky Balboa when I win. That makes me a hipster, and it has made it difficult for me to get good at netrunner. The fruits of my labors were on NetrunnerDB and people loved my strange engines. I had success on OCTGN and in person. However, the win ratio was not good, not when you considered how many games I had played. It was puzzling to me and I dismissed it as net decking and people being under-creative and over-competitive. About two months ago after finishing 29th out of 120 at regionals I realized what was holding me back. It wasn’t that I played strange decks or that other people played broken decks, it was that a tier one deck had never been made using my cards. So regardless of what deck was sitting in front of me, I couldn’t make the right choices, I couldn’t win. In order to play my strange decks and have them work I needed to understand the established engines and learn why they worked. Jumping from learning how to add and then attempting calculus instead of learning my times tables in between. Reading your opponents or identifying scoring windows becomes impossible when you don’t know how people think when they play Andromeda or NBN. I know what you are thinking, Code, this is all obvious, you should play the good decks if you wanna get good at netrunner. However, that’s not the only lesson here. A few weeks after playing NBN FA and Andromeda, I started to win, a lot, I started to build my strange decks again and they won, most of the time. It was the engines that were missing, the skeletons of good decks made it possible for me to play competitively and understand what my opponents were thinking. 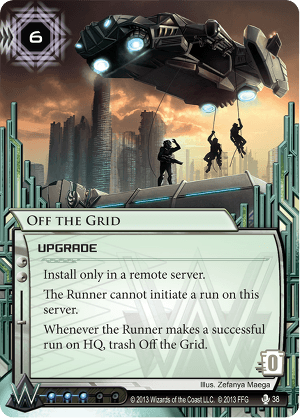 Understanding the core mechanics of netrunner is easiest when you look at tier one decks which tend to focus on brutal economic efficiency. If you never learn how to cook properly you can’t effectively improvise a recipe and while self taught people may become successful, fundamentals in any field are important to reach the highest levels. 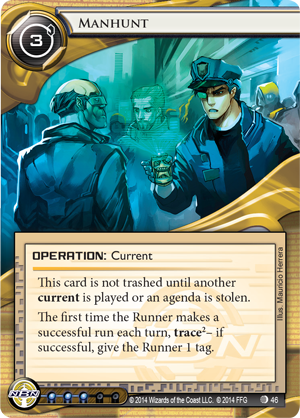 Netrunner is no exception.